The third son of Henry Boddington (b.1819), a prominent cattle dealer, Samuel established himself as a dealer in woollens and as a country squire with a fine house, appointed a Justice of the Peace and was prominent in the local fox hunt. Samuel lived at Hillfield Hall, Solihull, built in the 15th century and is a listed building, now converted to apartments, as is the stable block adjoining. Samuel moved c.1917 to Widney Manor Farm about two miles up the road, he extended the original cottages here and named them The Chase. He bred Shire horses and hunting dogs there until his death in 1936 aged 85. Samuel was a member of the North Warwickshire Hunt. The Chase was bought by Captain Oliver Bird MC in 1937, he being of the Bird's Custard family. Copies of the fine picture (above) of our illustrious forebear, Samuel Boddington JP, are held by several members of the family. He was my great grandfather. The picture is based on a monochrome photograph and the prints were subsequently tinted to make them into coloured pictures and then framed. 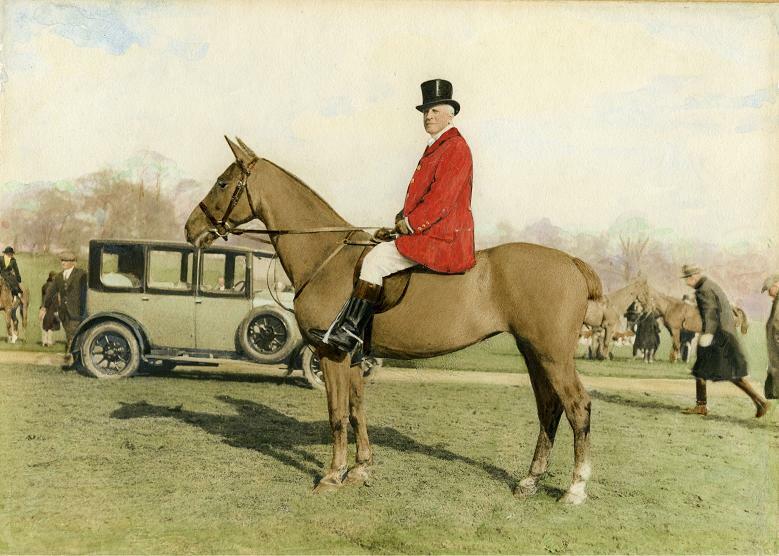 It is a very posed picture - Samuel on his hunter in his hunting pinks, probably at the meet of the North Warwickshire Hunt and believed to be in Warwick Park, in front of his car (I haven't identified that yet, anyone know what it is?). We believe the picture was taken in 1929. The man at the back of the car is Hart, Samuel's groom and chauffeur. The man on the right walking towards the car is said to be Baron Willoughby de Broke . However, the then Baron would have been, in 1929, only 33 years of age and the man in the picture looks rather older than that. Hart (sorry, don't know his first name) later retired to a cottage in Saddle Bow Lane, near Claverdon station, where he died probably in the 1960s. I remember meeting him there when he was an old man. His son established a motor repair garage and petrol pump in Claverdon, adjacent to the village green. See the further history page on Samuel Boddington's children. 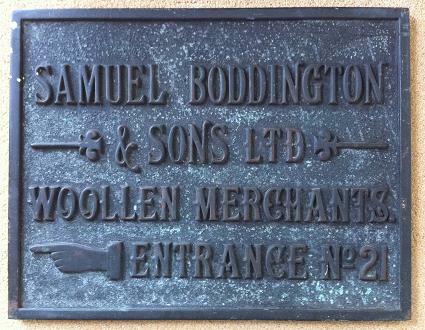 Samuel Boddington set up this company at 21 Cannon Street in the centre of Birmingham. The brass office plate (right) and another were rescued by Simon Boddington when the building was demolished in the 1960s. The one shown was gifted to his brother's son and daughter in law. Simon Boddington, Samuel's great grandson, began his own career at the Cannon Street office and has since continued in the same industry for many years in California.